HTML500 in Calgary in 2014. Canadians will be getting the opportunity to learn how to code for free in 2017. The HTML500 is Canada’s largest free to learn to code event, and after a year-long hiatus, has announced it will be kicking off again in Toronto on Feb. 18 and Vancouver on March 11 with an extended schedule. Created by Lighthouse Labs, HTML500 began with a “massively successful” inaugural run in February 2014. This year, the event has expanded to include several other cities – with over 7,000 more on the waitlist – across Canada for the country’s 150th anniversary. HTML150 is a 150-200 person event that will run concurrently with HTML500 in the cities of Ottawa (Mar. 4), Saskatoon (Mar. 18), London (Mar. 25), and Calgary (Apr. 1), as well as Montreal, Victoria, and Halifax (all TBA as of Jan. 10). 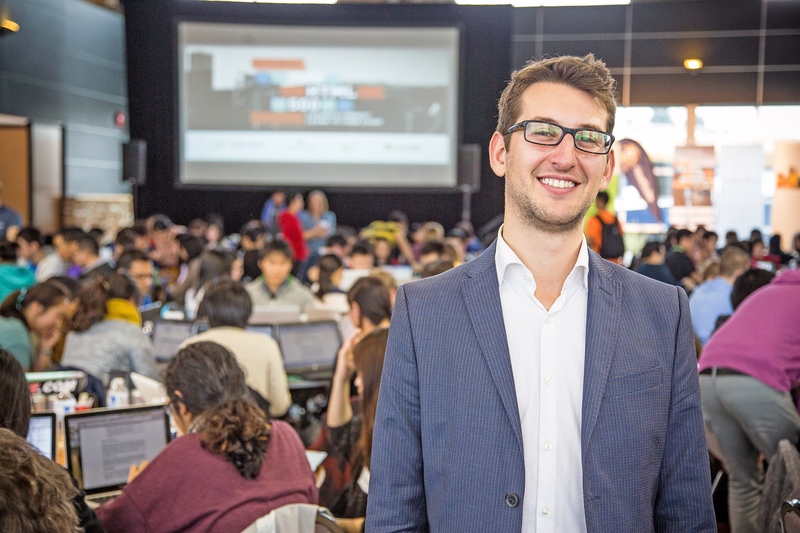 HTML500 and HTML150 are one-day events “where 50 of Canada’s top tech companies come together to teach you and 499 people how to code,” according to the company’s website. By the end of the day, Lighthouse Labs says attendees will have created their own landing page using popular programming languages HTML and CSS. With digital and online technologies growing at an exponential pace, Canadians need to start interacting with this digital world in a much more hands-on way, which includes learning the basics of code, says Jeremy Shaki, co-founder and Chief Talking Officer at Lighthouse Labs, in a press release from Jan. 10. “Coding democratizes creation. Coding gives us the power to create things that can be shared with the world in an unprecedented way. This is why we created the HTML500,” he adds. Jeremy Shaki, co-founder and CTO at Lighthouse Labs. The company also highlights the fact that 50 per cent of previous event participants were women. Lighthouse Labs partnered with telecommunications giant Telus Corp. this year to bring HTML500 to life. “It has never been more important for the next generation to learn to code, the future of job stability depends on it. We are excited about the opportunity that The HTML500 presents as a unique learning outlet for the growing Canadian digital market,” said Shawn Mandel, vice-president of Telus digital. You can find more information on HTML500 and its schedule here.